Let's be honest- we can't do any of this without volunteers. 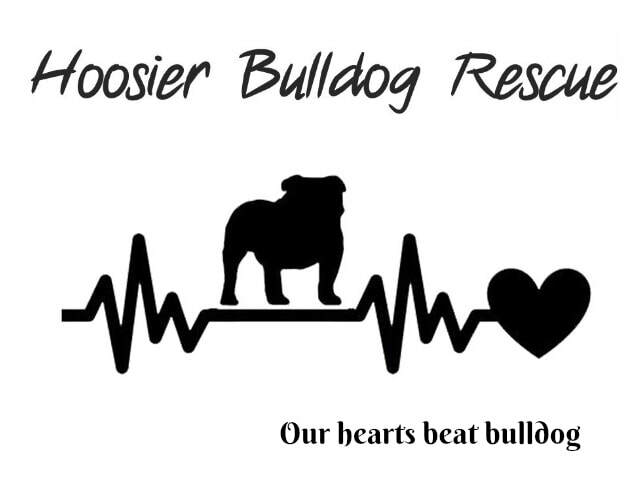 If you are passionate about helping bulldogs, we would love to welcome you into our HBR family. Please follow us on Facebook/Instagram and come to our events so we can meet you. OUR BIGGEST NEED!!!!! We do not have a shelter/facility. All of our dogs rely on fosters to put a roof over their heads while they're receiving medical care and waiting for their forever home. Simply put - WE CAN NOT BRING IN MORE DOGS WITHOUT FOSTERS. Foster volunteers provide shelter and love; HBR provides food and medical care. Some of our dogs have never been in a home environment, and have only known the loneliness of a kennel. Foster homes help the dogs to adjust to being a part of a family. This is a critical part of rehabilitation and rehoming rescue dogs. We often need volunteers to pick up a dog from the shelter and bring him to us. Sometimes fosters may need help getting their foster dog to an event or to a vet appointment. Donating a few hours of your day to be a bulldog chauffeur can be a lifesaver. We need volunteers who can attend events and talk to the public about our rescue group. This is a great way to interact with the community and spread the word about rescue. And if you want to be really involved, you can organize your own event! We need volunteers who can call applicants and conduct the initial phone interview. We provide you with a list of questions and you simply email the form back to us with the information to review. We make applicants aware that the person conducting the interview do not have information about individual dogs available, nor do they make any decision regarding the outcome of the adoption. We need volunteers who can visit the home of prospective adopters and conduct a follow up home interview. We provide you with a list of items to look for during the interview and questions to ask the applicant. Again, we make applicants aware that the person conducting the home interview does not have information about individual dogs available, nor do they make any decision regarding the outcome of the adoption. You simply convey the information gathered back to us for review. You will shadow a current volunteer for your first home visit. We often have people ask us how they can get more involved. We understand not everyone is in a position to adopt or foster a dog. But there are plenty of other ways you can be active in rescue. Click the links below for more information. Or if you have an idea, feel free to drop us a line on our Contact Us page. We'd love to hear from you! Monetary donations keep us going. Any amount is appreciated! Sometimes we get in bulldogs that for one reason or another will never be able to be adopted. These dogs will require continuous care by HBR. Please consider helping support our perma-fosters. Participate in online auctions on our Facebook page. Attend a local event and buy a raffle ticket! ​Have an item to donate? Let us know! Follow us on Facebook & Instagram to get to know our dogs! ​We also post upcoming events on our Facebook page and we host online auctions. Download apps to your phone, such as Walk The Dog. Register your Kroger Card and Amazon account to benefit HBR. We often do fundraisers at local bars/restaurants. A percentage of your bill goes back to the rescue. Plus we have raffles! We are always looking for people to donate their special skills- grant writers, photographers, graphic designers, print shops, etc. Who doesn't like a party? Are you a direct sales consultant for LuLaRoe, Tupperware, etc? Host a party with the proceeds benefiting HBR! It's like Uber for rescue dogs. We have a dog needing to get to a foster home, to the vet, etc... we need someone to drive him. You may even get a tip in bulldog kisses.